Officer in the Polish army; son of Colonel Berek (Berko). He took part in the battle of Kock, in 1809, in which his father was killed. When he quitted the military service in 1815, he was appointed forester of the government forests of Troki, and in 1826 chief forester of the district of Bielsk. 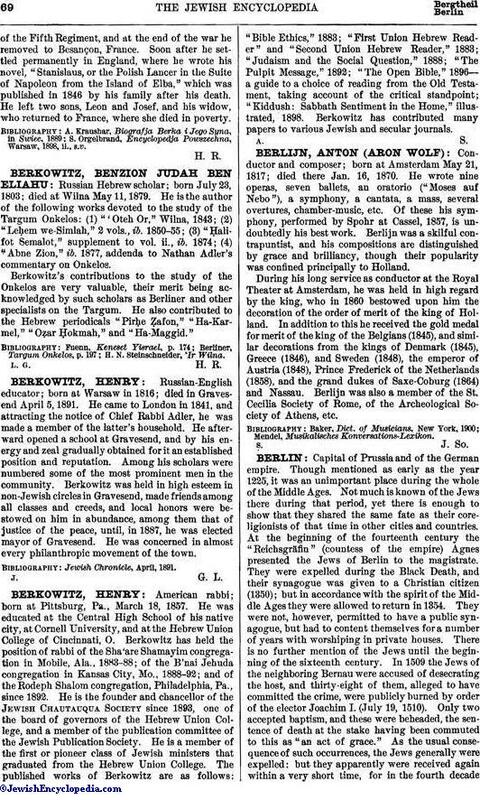 During the Polish revolution of 1830 Berkowicz served under General Rozycky as chief of squadronof the Fifth Regiment, and at the end of the war he removed to Besançon, France. Soon after he settled permanently in England, where he wrote his novel, "Stanislaus, or the Polish Lancer in the Suite of Napoleon from the Island of Elba," which was published in 1846 by his family after his death. He left two sons, Leon and Josef, and his widow, who returned to France, where she died in poverty. 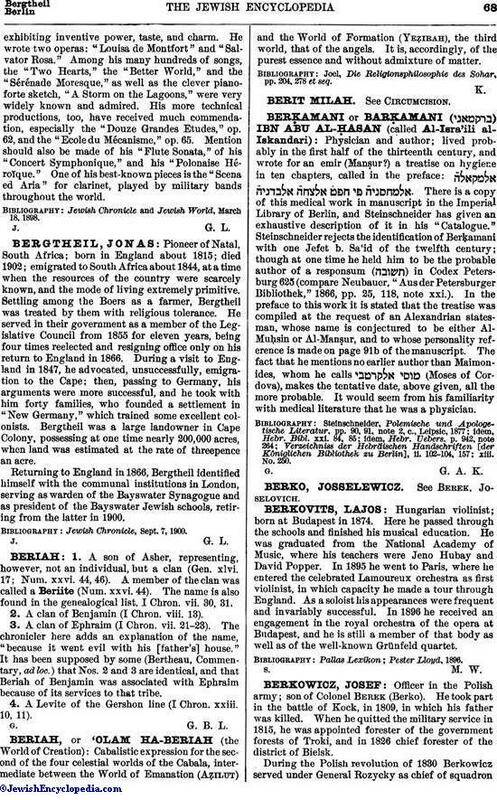 S. Orgelbrand, Encyclopedja Powszechna, Warsaw, 1898, ii., s.v.